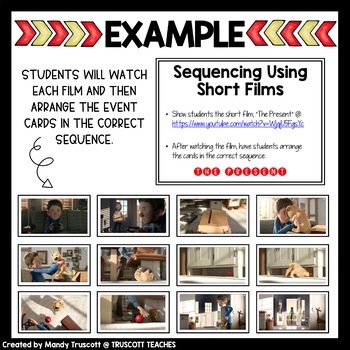 Students will sequence events in 4 different short films. 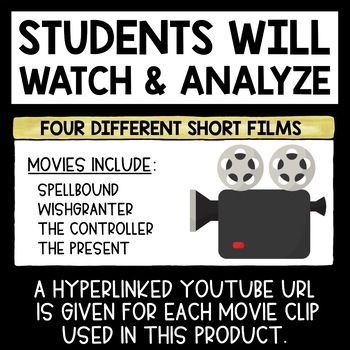 The short films are hyperlinked within the assignment. An answer key is included. These are great to use all at once or one at a time as starters for the beginning of class. 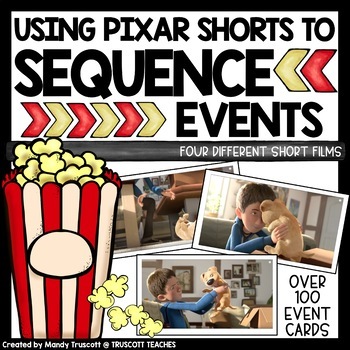 This Product is Available in a my MOVIE CLIP MADNESS BUNDLE. Who doesn't love FREE STUFF?! REGISTER FOR MY NEWSLETTER to receive two FREE RESOURCES available only to my Newsletter subscribers. Within one week, two FREE RESOURCES will be emailed to you.